Eucerin Daily Protection SPF 30 Moisturizing Face Lotion: What makes this moisturizer exceptional is that it contains titanium dioxide and zinc oxide that are perfect for protecting one’s skin against the sun’s UV rays. It also has no fragrance, gives a long lasting coverage and, will leave your skin feeling silky smooth. Simple Hydrating Light Moisturizer: By it having no artificial dyes or scents, this moisturizer is perfect for anyone with a very sensitive skin. It contains borage seed oil and Vitamin E for enhanced hydration. To fully benefit from it, apply it as soon as you leave the shower – while the skin is still damp. L’Oreal Hydra-Renewal Continuous Moisture Cream: This is best suited for people whose facial skin is extremely dry. Through its two special ingredients; shea butter and Pro-Vitamin B5, one’s skin ends up remaining moisturized all day long. This is through the above ingredients ability to enhance a lipid barrier hence ensuring that the skin is perfectly hydrated and softened. Neutrogena Intensified Day Moisture SPF 15: No matter how dry your skin is, this moisturizer will keep it hydrated all day long, make it smooth and, protect it from harmful sun’s rays. Neutrogena Oil-Free Moisture Combination Skin: Since this moisturizer is formulated without the use of alcohol, fragrances or oil, it’s perfect for someone with a very oily skin. It works by absorbing oil from the skin and leaving it looking matte for the rest of the day. Yes to Tomatoes Daily Balancing Moisturizer: Due to its being rich in antioxidants, this moisturizer is capable of seeping deep into the skin and balancing one’s oily skin hence, leaving it with a covetable glow. It also has a very sweet fragrance. 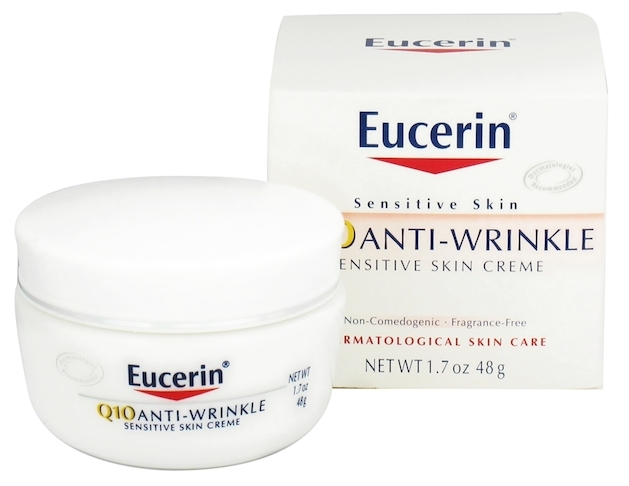 Eucerin Q10 Anti-Wrinkle Sensitive Skin Crème: The crème is made using excellent anti-wrinkle ingredients as well as coenzyme Q10 which plays a key role in slowing down the skin’s aging process. It can be used in fighting wrinkles as well as in preventing sun’s damage on one’s skin. Olay Regenerist UV Defense Regenerating Lotion with SPF-50: Having being made using highly effective anti-aging and anti-inflammatory ingredients, this moisturizer will help tone your skin, soothe it and, protect it from intense sun’s UV rays. Cetaphil Daily Facial Moisturizer: Although this can be used by people of all skin types, it’s best for ones with a natural skin type. It has a broad spectrum of SPF 15, is non-greasy, light in weight and can be used alongside several other beauty treatment products. Just like other moisturizers, it makes the skin look and feel healthier and hydrated. Yes to Carrots Repairing Night Cream: This is made using natural hydrating oils such as avocado, mandarin orange peel and sweet almond, beta carotene and soothing green tea extracts. These help in maintaining the skin’s tone and elasticity as well as protecting it from harsh environmental toxins and UV damage. To fully benefit from these facial moisturizers, it’s best that you first understand your skin type so that can buy a moisturizer that best complements its needs. Above all, the ultimate benefit of choosing the right moisturizer is, it will save you from the need of buying other related skin care products, like sunscreens.